Happy Friday lovelies! 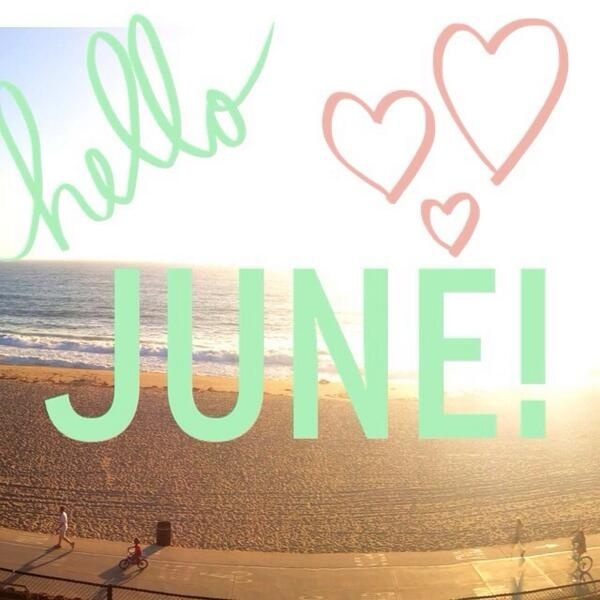 I can't believe it's already June! This week has gotten away from me so I'm having a hard time remembering not only what day it is but also what month it is! Today I'm off to Bradenton for work (yup, for those keeping track that's 1,200 miles total traveled this week alone!) so I will be radio silent in the blogging world, sorry in advance! But I'm still sharing some Friday Favorites! 1 // At first I was pretty hesitant about the choker trend coming back in style but after seeing some of these wrap chokers I'm totally digging it. This black one with the spikes is so perfect too! 2 // Thank you Ashley for tagging me in a tweet about this makeup bag because I am officially obsessed! It definitely needs to be mine! 3 // With summer here and spending more and more time outside loading up on sunscreen is a must! I'm not a huge fan of using lotion or spray sunscreens on my face since it tends to get a bit oily so this loose mineral sunscreen is perfect! It has a matte finish so you don't have to worry about oily skin, it's lightweight and chemical free and super easy to toss in your bag to keep with you for midday touch ups! 4 // The dv for Target line does it again! I found these sandals in store but the smallest size they had was still too big for me so I'm hoping they get them back in stock soon. They were super comfy and so cute for summer! 5 // I love fruit infused water but I hate when I'm sipping and I almost choke on a seed I missed so this water bottle is perfect! I've seen several other ones but haven't wanted to spend a ton of money on them since I already have a bunch of water bottles so at only $15, you can't beat it! That makeup bag is the cutest!!! Love it. Have an awesome weekend! I didn't know they made powder sunscreen! Wow! I need to check that out! And I'm always a sucker for fruit infused water! So delicious! The "mermaid hair don't care" makeup bag is the cutest! I almost just bought it the other day. You are making me think I need it now! Hope you have a wonderful weekend and safe travels! Those sandals are perfect!! And I totally agree with you on the sunscreen thing. I need to try that one! Love the mermaid makeup bag, so cute! And the water bottle is a great idea. Hope you have a great weekend! What a genius idea for sunscreen! I always wear it but it breaks me out... Think this would be better. And that makeup bag! Have a great weekend! LOVE those sandals and that makeup bag - perfect for you! Definitely looking into that water bottle, too. Have a great weekend, and safe work travels! I need to check out that sunscreen! That bag is perfecttttt and I used to have a bobble...they're great! Happy Friday! Those sandals are sooo cute & I've wondered how those water bottles are-- I feel like I never can have enough. Cute sandals! I need to try the choker trend. I haven't gotten brave enough yet, but I love it on others. I so need to get that powder sunscreen. I have been using the spray one but it gets all over my clothes. The other day I was walking around with little white spots all over my black top. People must have thought I was wearing dirty clothes! haha Have a great weekend. I love powder sunscreen on my face - so much less oily. I love that water bottle! That water bottle seems like an essential!! Those sandals are fabulous, love them! I had a bottle similar to that, but it broke, I loved it! I need to pick up another one. Hope you have a great weekend! Beautiful bag and sandals! love it! I need that water bottle, I am always getting an errant seed! Have a great weekend! I hope that you're having fun on your work trip! That makeup bag is so cute, and totally perfect for summer! I'm thinking about stopping by Target this weekend because it seems like they have so many cute options for summer! I'm really loving the choker trend right now and I love the wrap one you found! And I can't believe that you've traveled so much for work this week!! That Sunforgettable sunscreen is the best!! And I found those DV sandals a while ago and they have NEVER had my size in stock.. boo! That makeup bag is seriously so cute and needs to make its way to me stat! I never thought to use loose mineral sunscreen, will definitely be checking that out when I'm in Miami in a few weeks!